Below is an overview of the attractions in The Oasis and Discovery Island at Disney’s Animal Kingdom. 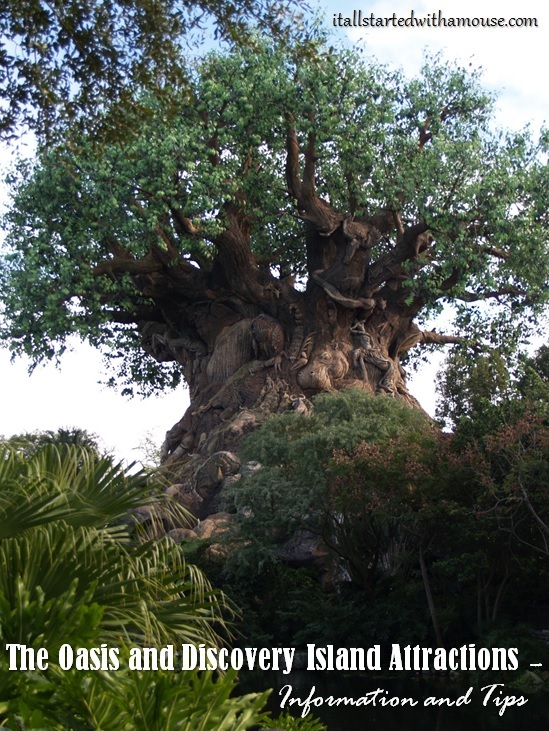 All around the Tree of Life are animal exhibits and various opportunities to get up close to the tree itself. Can you spot all 325+ animals? Great info, love the site!